How Do I Log Into The Mobile App With Email? 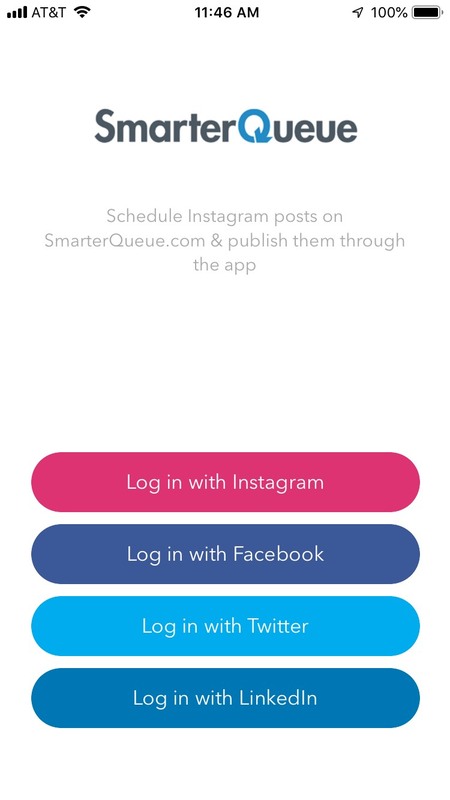 You can login to SmarterQueue’s mobile app using one of the social profiles that you have linked to your SmarterQueue account, even if you originally signed up by email only. You must use a connected social profile to log into the SmarterQueue app. 💡Currently the sole purpose of the app is to receive notifications for your scheduled Instagram posts. If you want to use SmarterQueue’s features on your phone, visit SmarterQueue in your phone’s web browser.